Office Phone. Smartphone. One Number. Atlantech-One. Has this happened to you? You called a customer from your mobile phone and now they can contact you outside of normal work hours. If only you had your phone system connected to your mobile device. With Atlantech-One, you no longer have to worry about this and other limitations when outside the silo of your legacy PBX service. 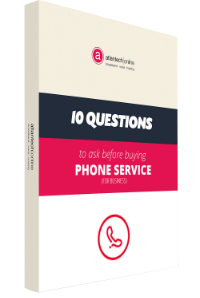 With Atlantech-One your office phone and your smartphone can be on one number. So, you can be connected on the go and utilize the many features and benefits of your Hosted PBX service. Atlantech-One Communicator provides a user friendly interface that lets end users quickly and easily access all of their Atlantech-One services from mobiles, tablets and desktops. For desktops, Atlantech-One Communicator provides a full-featured soft client, and for mobiles and tablets Atlantech-One Communicator provides a downloadable application. Hosted PBX – A strong set of business telephony features is essential to a Unified Communications offer. From simple “find me/follow me” functionality that will simultaneously ring to fixed mobile convergence applications, Atlantech-One’s calling features are tied directly to the business dial plan. Atlantech-One integrates seamlessly with advanced telephony features including Call Center and ACD as well as front office applications like Auto Attendant and Receptionist. Instant Messaging and Presence – The most popular Atlantech-One feature, Instant Messaging and Presence or IM&P allows employees to quickly check the presence status of coworkers and decide how best to communicate. The Presence indicator is dynamically updated using phone and calendar status so it is always accurate. Desktop & File Sharing – Atlantech-One Communicator’s Desktop & File Sharing application facilitates the free and fast flow of information critical to effective decision-making. Desktop sharing allows users to see and share presentations, spreadsheets, and other media from any location across any network and file push capability speeds up workflows and fosters collaboration in the workplace. Video Collaboration – Face to face interaction has been proven to help participants better understand information and reduce the amount of time spent in meetings. 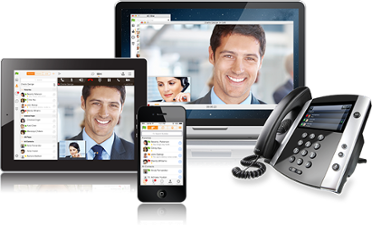 Atlantech-One Communicator’s Video Collaboration offers multi-party voice and video collaboration to bring remote workers and disparate sites together quickly and easily, with one simple click. My Room – My Room is a unique Atlantech-One Communicator feature that combines Unified Communications tools into a single virtual “room” and eliminates the need to send cumbersome bridge numbers and pass codes. Every Atlantech-One Communicator user has My Room – making it easy for groups to meet, chat, share desktops, and talk with voice and video. My Room includes moderator controls to mute and dismiss participants to keep meetings on track. Atlantech-One is available today. Contact your Atlantech Online representative today and learn more about the freedom and liberation that Atlantech-One can give you from a legacy PBX.